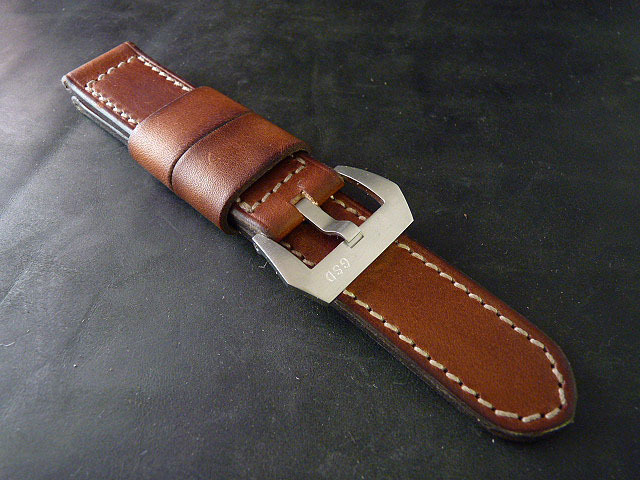 I believe that your watch strap should be every bit as nice and every bit as interesting as your watch. 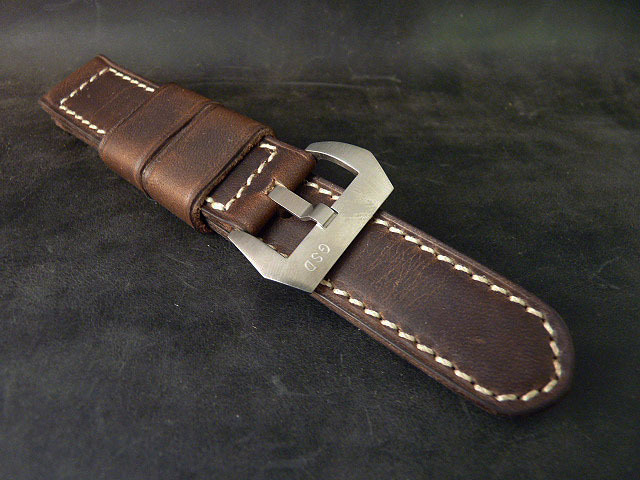 I like leathers with character and that feel great on the wrist. Most of my leathers come from either the Horween Leather Company, maker of world-class leathers, or from a friend of mine who imports select leathers from Italy. I build my Vintage Military straps from vintage Swedish or French military ammunition pouches. Often I'll run across a hide that speaks to me (figuratively of course) so I am frequently adding new leathers to the line up. 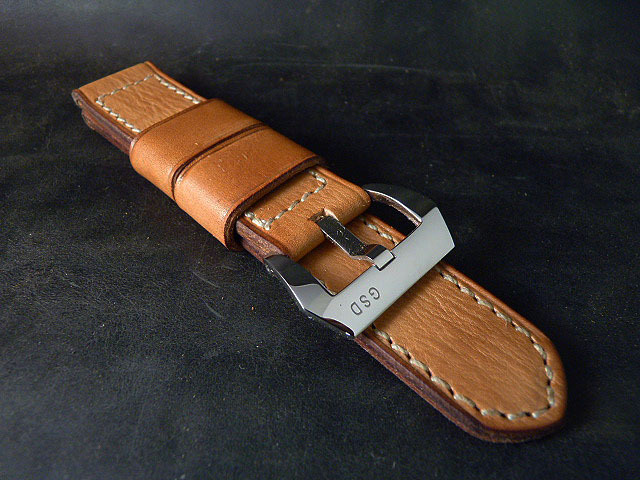 All my straps are made by hand. I don't own a large factory and I don't run a sweat-shop type operation, except of course when I am actually the one doing the sweating. There is a distinct difference from a handmade product versus a product that is mass-produced in a factory. I believe that a hand-made product has more "soul" than a product that comes off an assembly line. My straps are anything but ordinary. All of my straps are backed by a 100% guarantee. If it falls apart, I'll replace it. If it doesn't fit right, I'll replace it. If you hate it, send it back and I'll either replace it or refund your money. I feel that you should be 100% happy with your purchase. If you're not, then something happened along the way and I'll bend over backwards to make it right.